Last week Marvel announced Miles Morales was getting a new ongoing series post-Secret Wars. His series will be called Spider-Man. Brian Michael Bendis will continue to write Miles Morales' adventures and Sara Pichelli will be the artist for the series. Peter Parker will act as Miles' mentor in this series, but it has not been announced if Peter Parker will also be Spider-Man during this time or if he will have his own adventures in another series. I am sure we will get more info on this during San Diego Comic Con or when Marvel releases its October solicits. 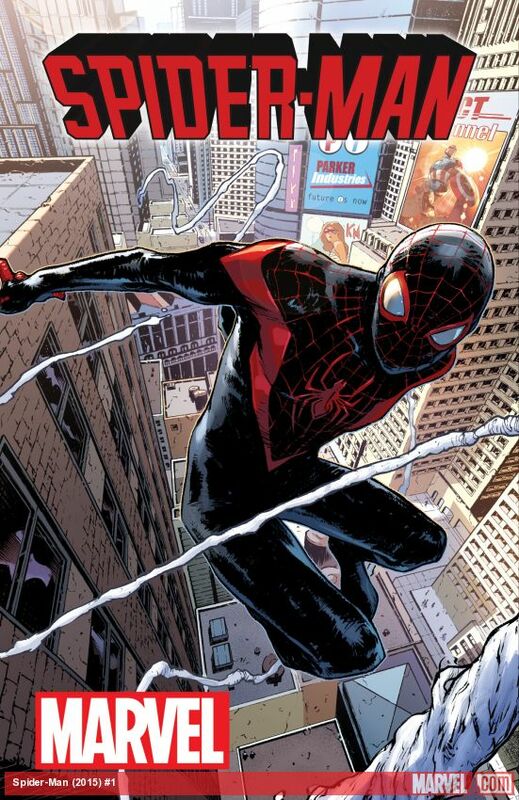 Miles will be very active in the Marvel Universe after Secret Wars because he is also a main character in the flagship book All-New, All-Different Avengers. Are you excited for a new Miles Morales series? Do you think we will still see his supporting cast even though Miles is now in the 616 universe? Let us know all your thoughts in the comments below!